A 16 bunk standard DOC hut with 2 bunk rooms, kitchen area with indoor running water, and large deck. Outside there is a large grassy camping space and a good long drop toilet. The hut has had some vandalism but is well maintained. 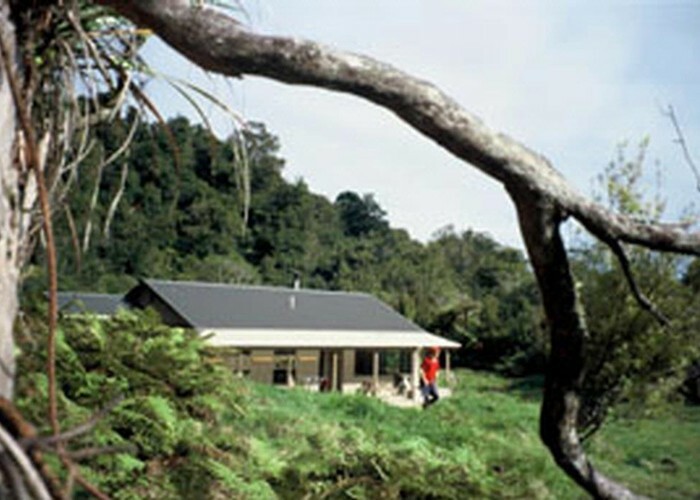 It is close to Franklin Road end so it makes a good starting place for any tramps in the Waitawheta Valley or nearby. Waitawheta Hut • By ledge. Added 26 June 2007 by SmivoSmivo. 4 revisions, most recently 25 February 2008 by MatthewMatthew.